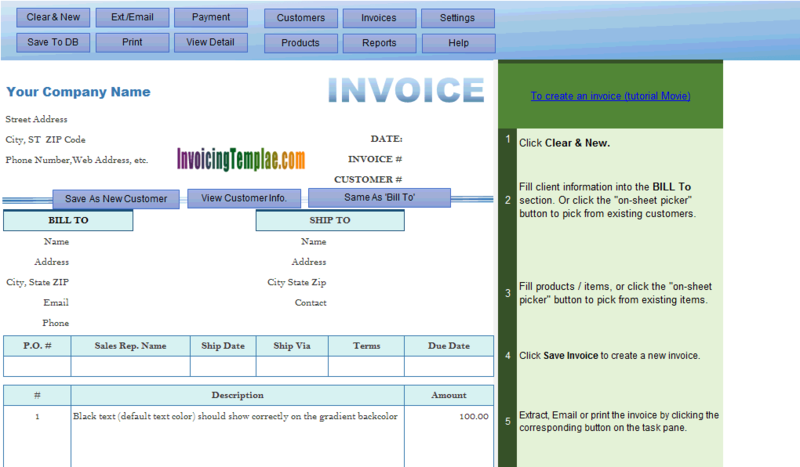 Cash Sales Invoice Sample is a sub-topic of Free Sales Invoice Format For Excel . 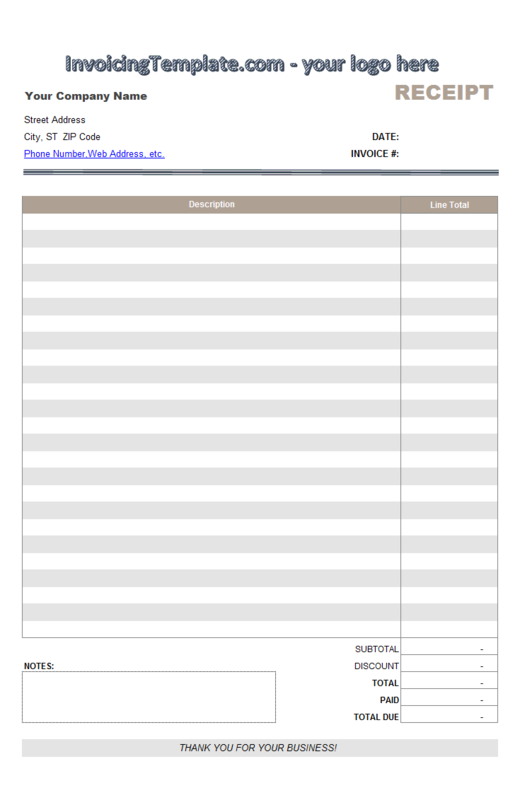 Here are our templates closely related to Cash Sales Invoice Sample. 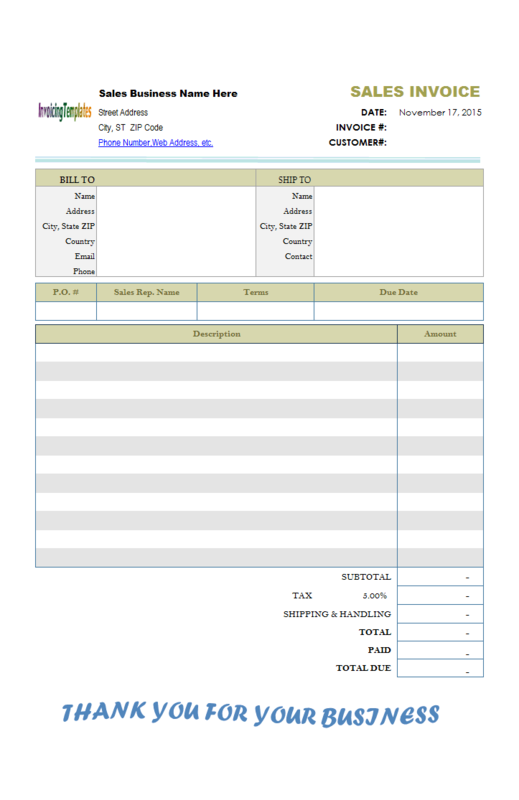 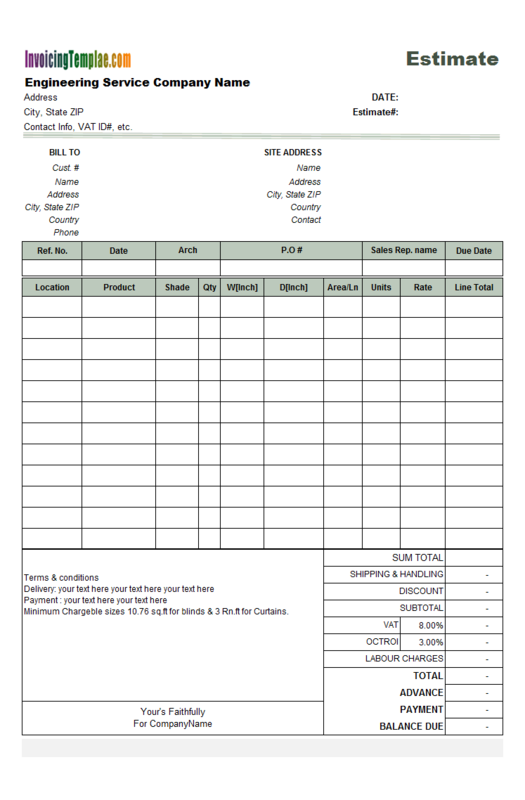 With this sample template, the "Ship To" fields are moved back into the printable invoicing form. 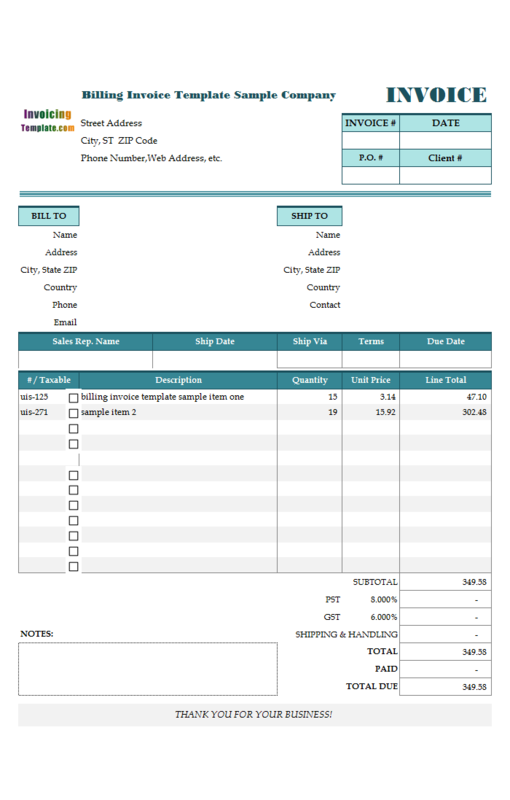 The default "Ship To" fields includes Name, Address, City State and ZIP, Country and Contact. 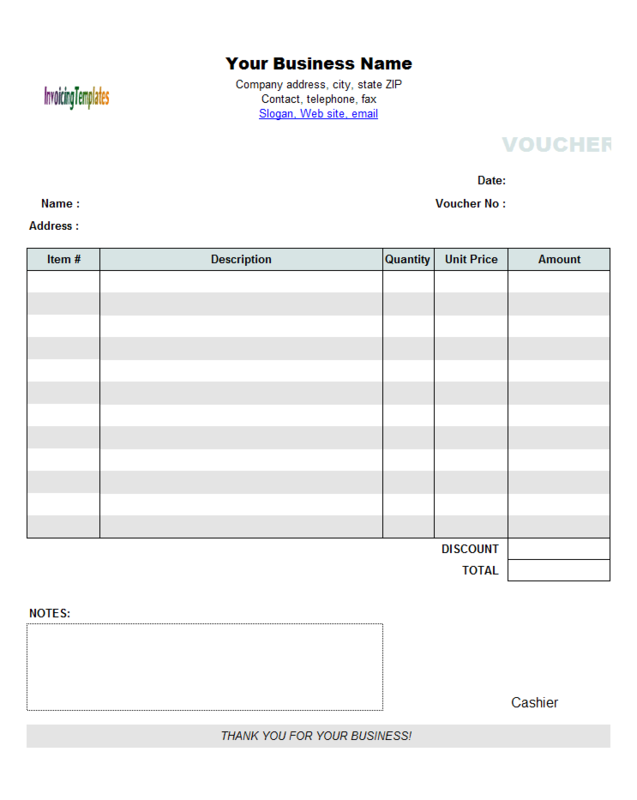 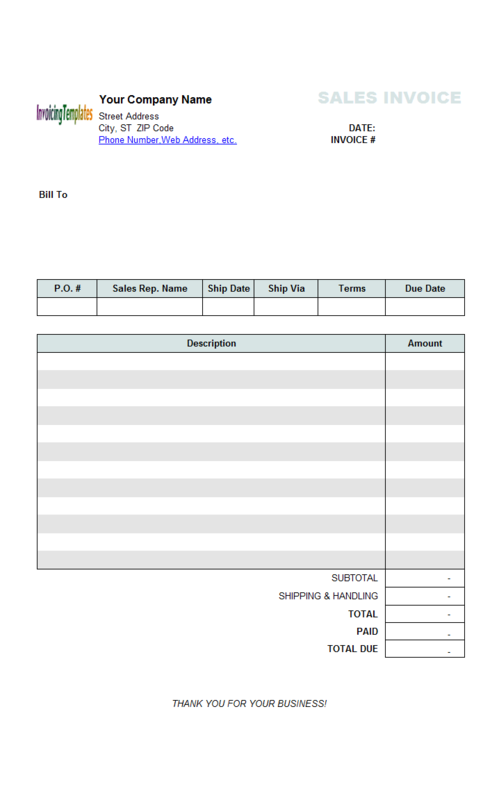 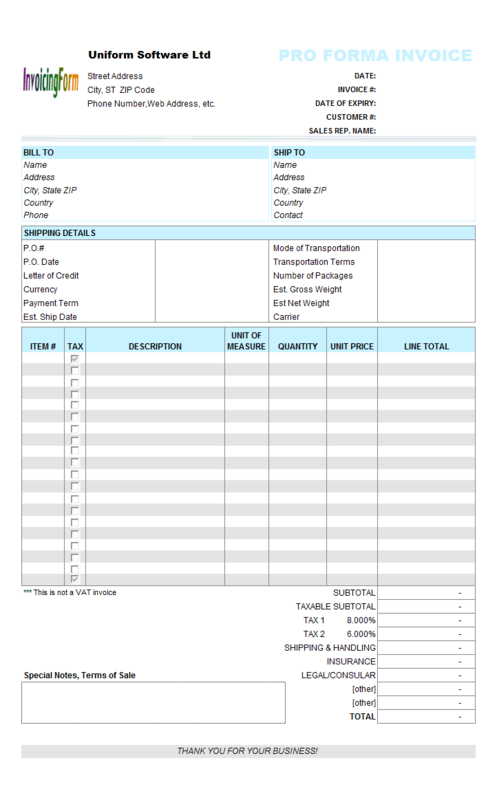 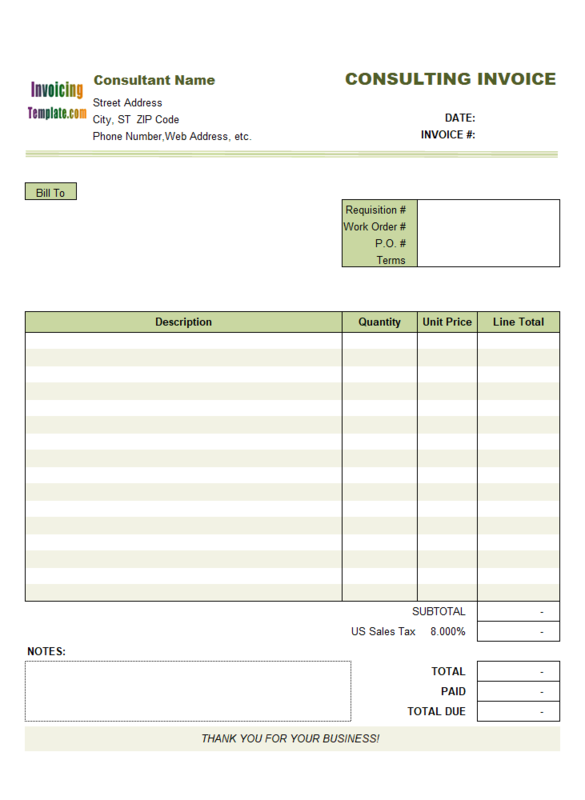 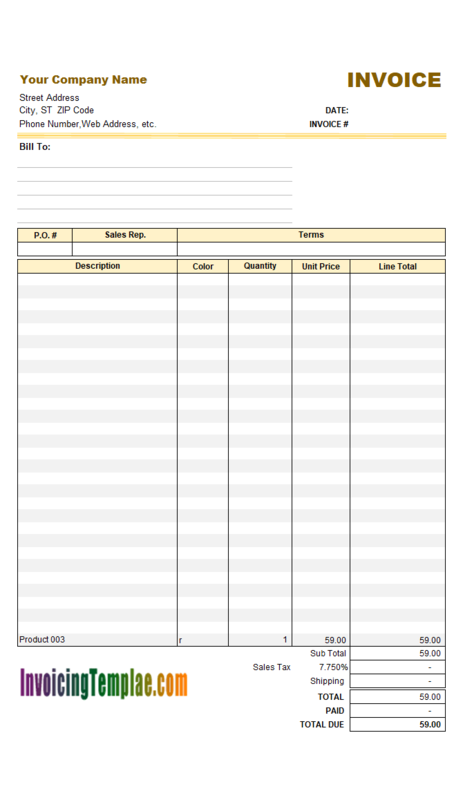 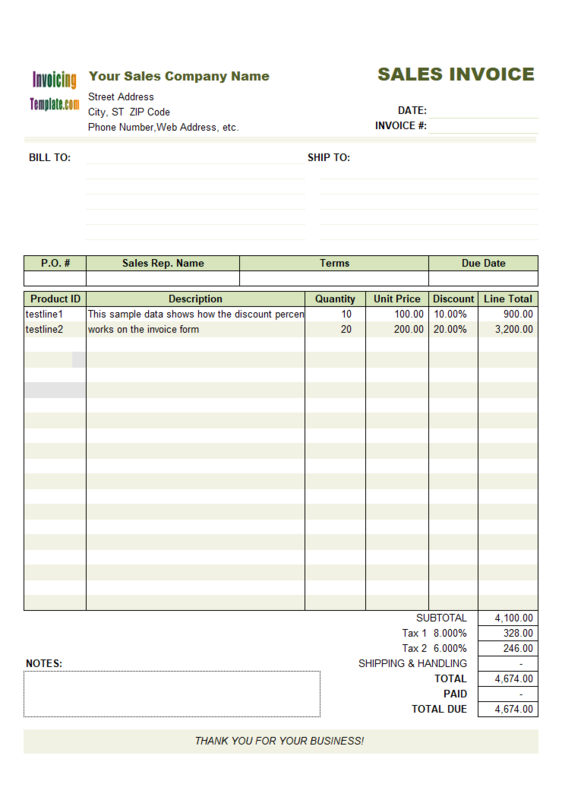 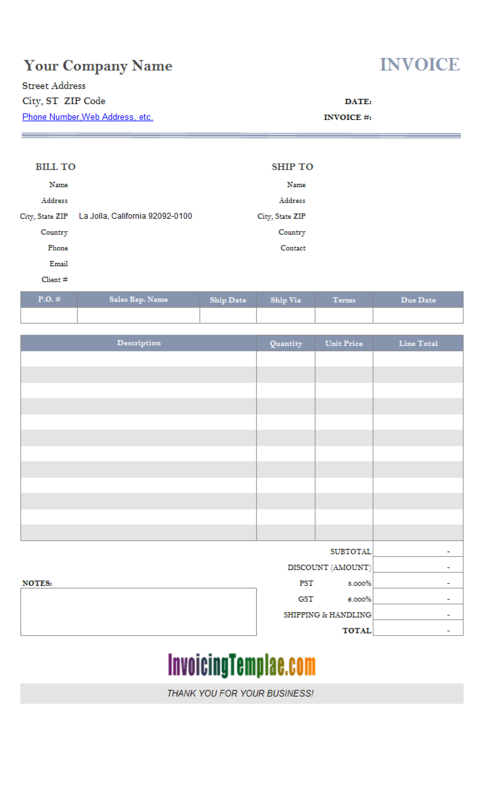 "Sample Sales Invoice Template: Fixed Items" is a sample invoice that demonstrates how to use fixed or static product items on the body part of the printable invoice form. 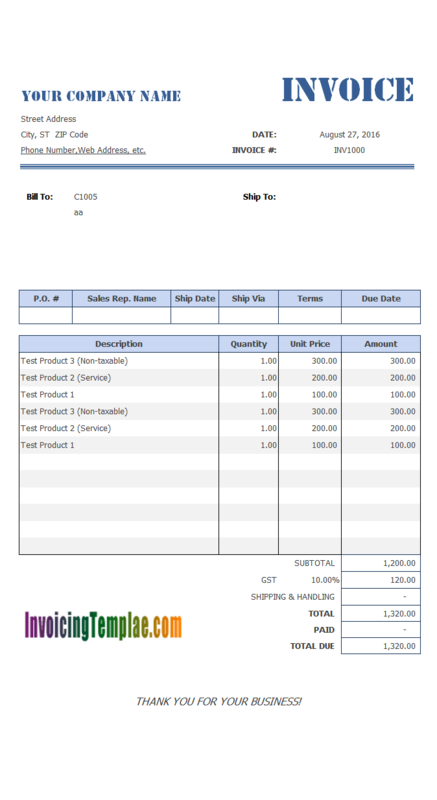 It is a sales template thus including shipping fields. 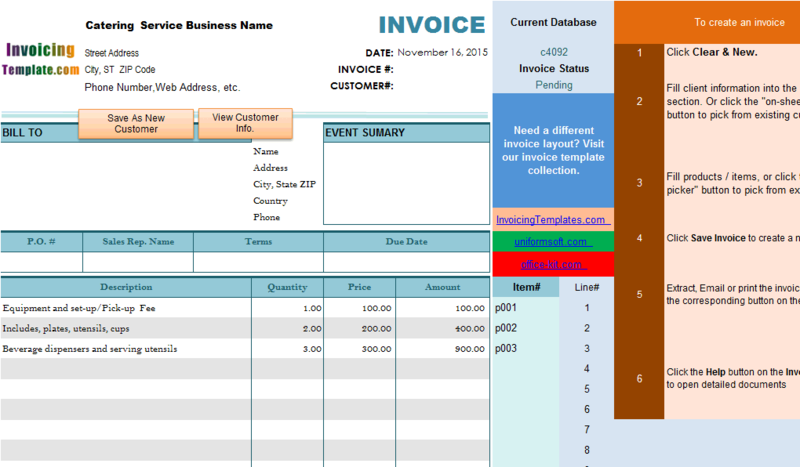 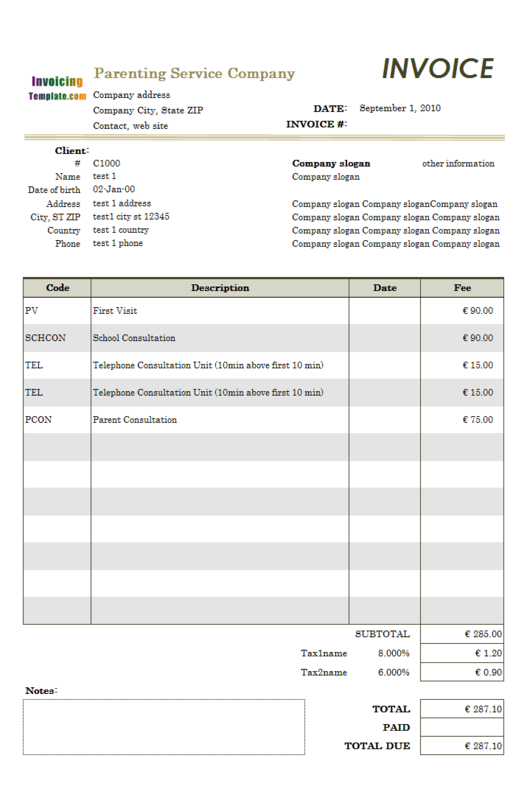 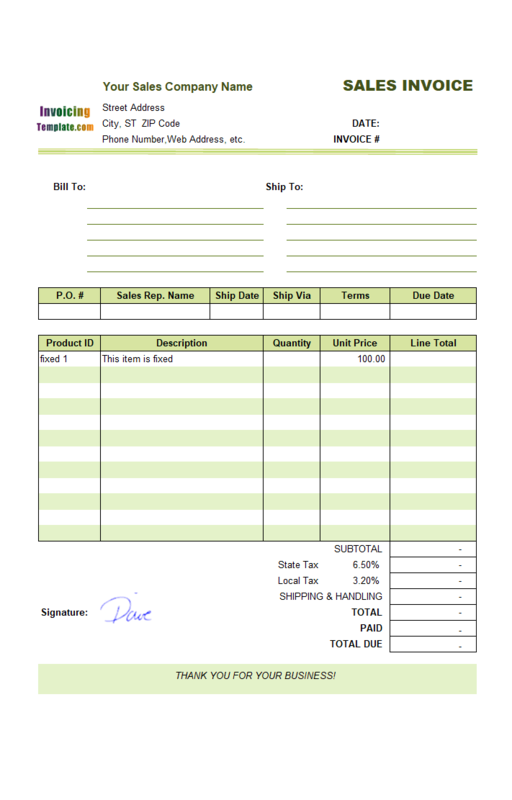 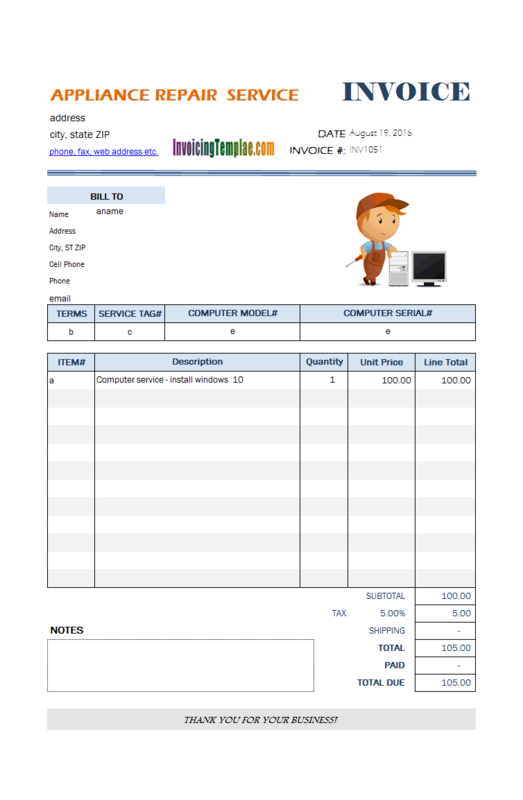 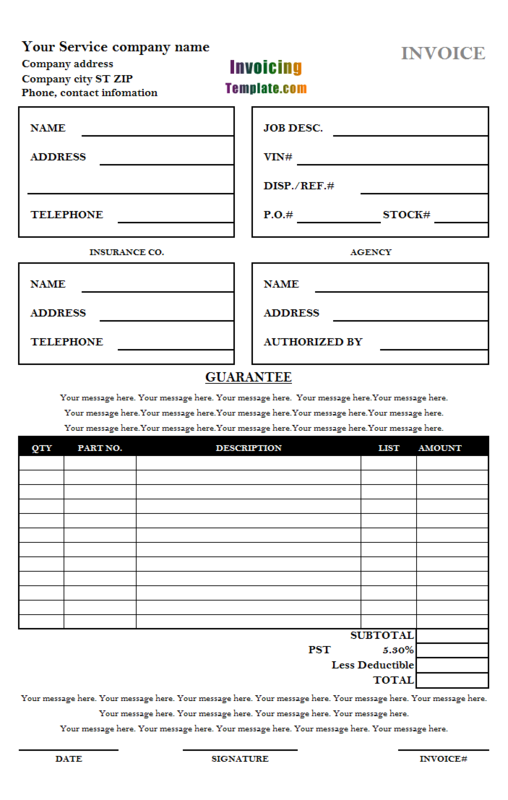 Job Invoice Sample provides a service bill template sample that has a special look and feel in style and format as compared to most invoicing templates available here on InvoicingTemplate.com. 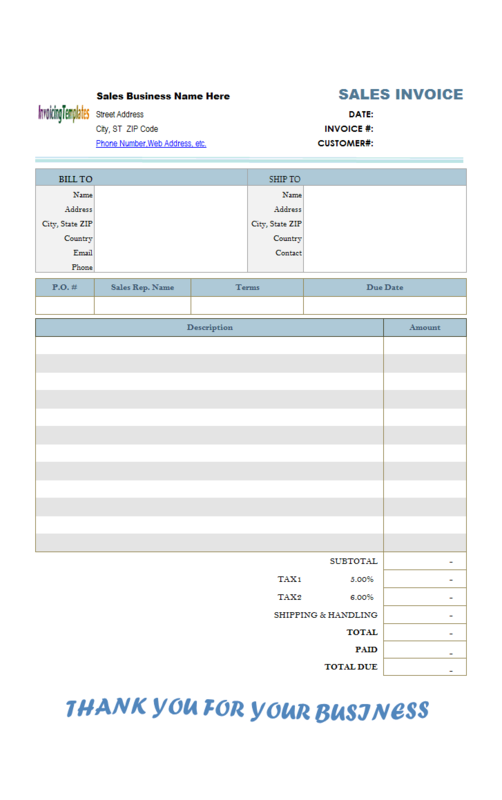 This template adhere to the above requirement statements. 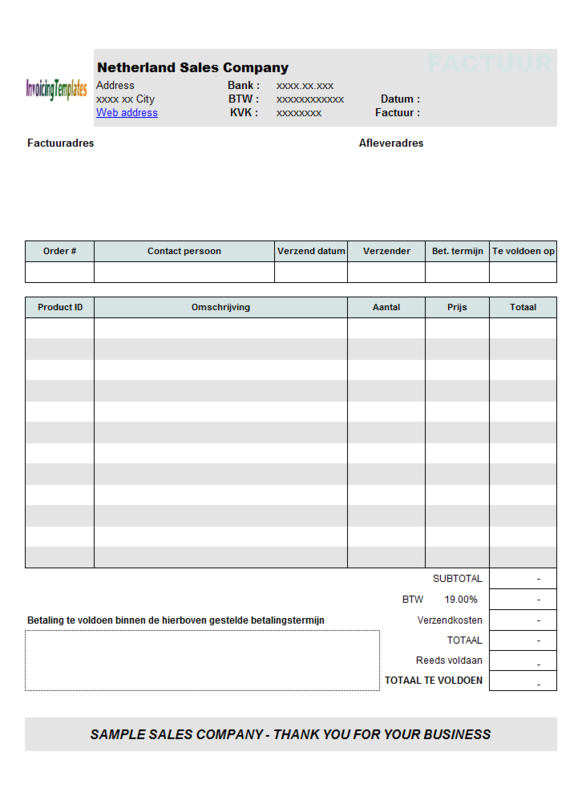 In addition to the fields defined in the c6009 Netherland Sales Invoicing Sample, this VAT invoicing Format (Netherland Sales Billing Form 2) also defined a new field VatID in both the Customer and Invoice Header database tables, which is implemented as a custom field. 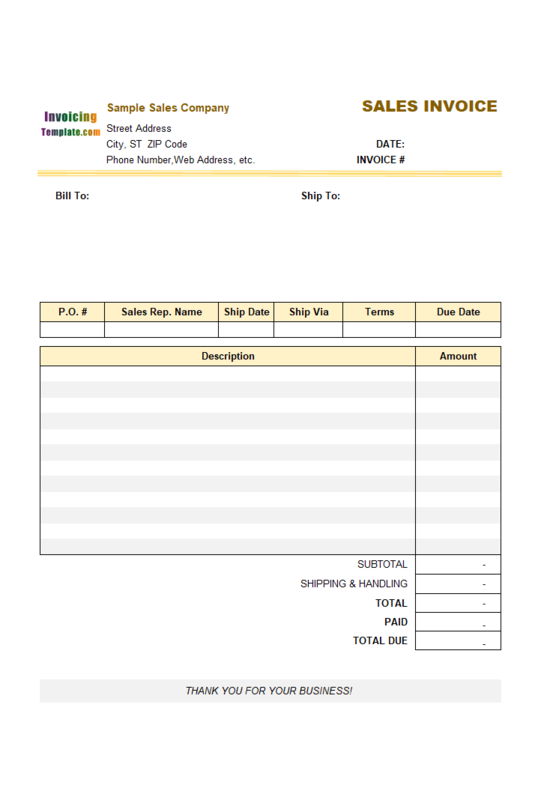 The default invoice template stores "City, State and ZIP" in two separate fields. 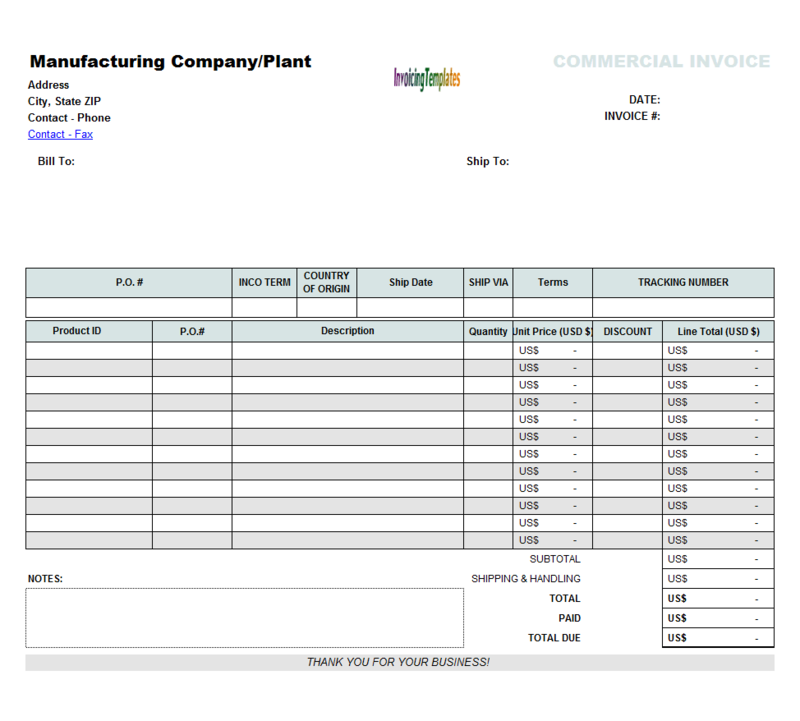 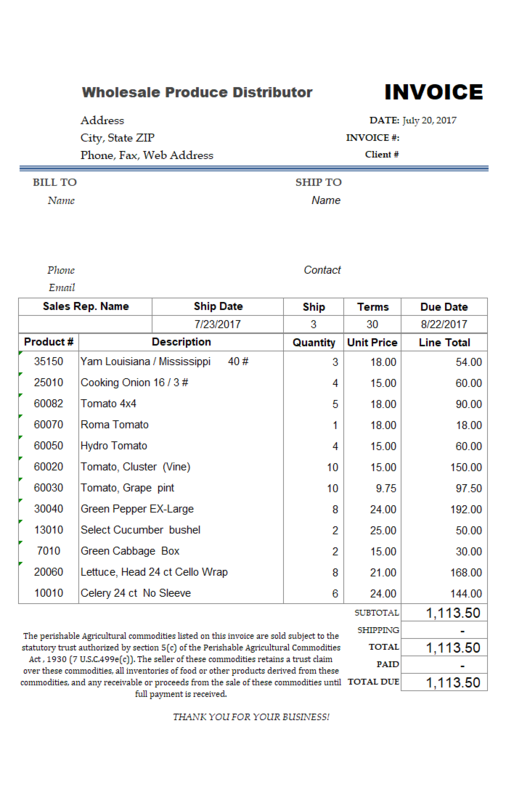 This customization sample of our simple invoice templates demonstrate how to store it in 3 separate fields using custom fields. 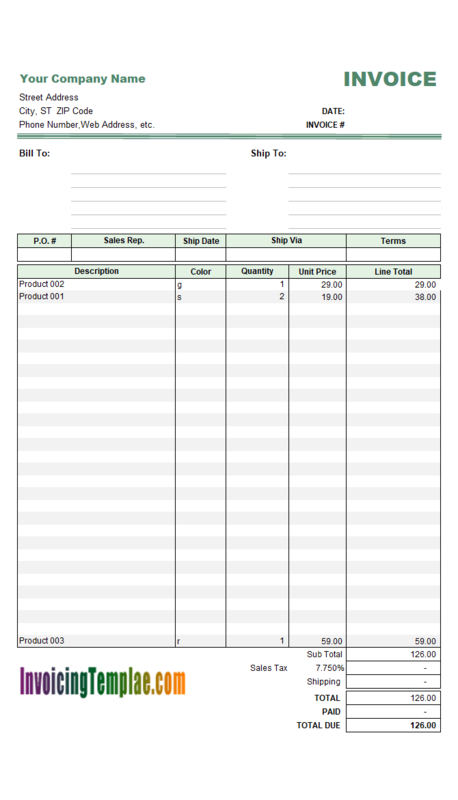 This seventh sample in the multiple-price or multiple-discount serial has no shipping fields in the printable section, and the prices are set in amount (instead of percentage).